“An amazing weekend in this beautiful barn. A rare opportunity for a family all under one roof and it couldn’t have been better. The barn is absolutely spotless and all the little extra touches made it very special for adults and the children. 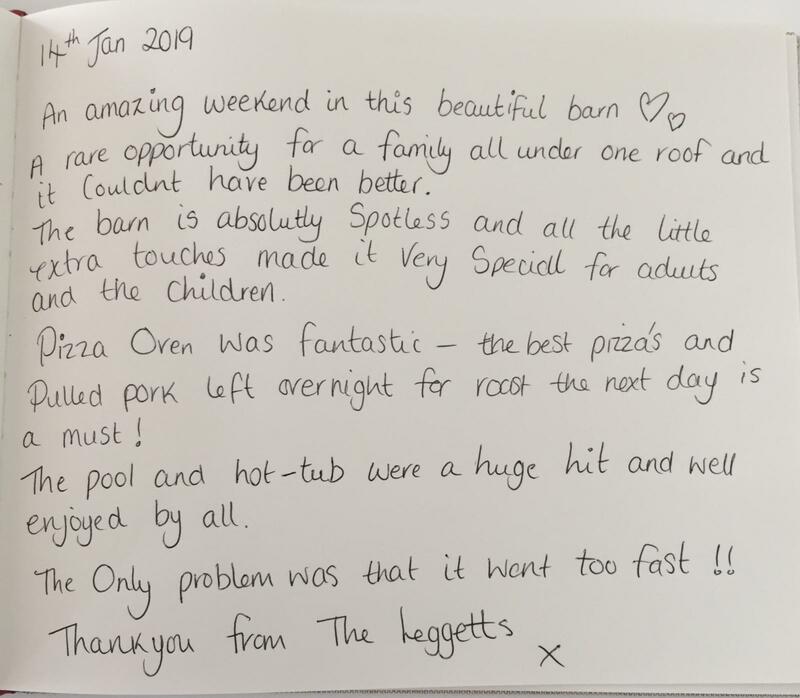 Pizza oven was fantastic – the best pizzas and pulled pork left over night for roast the next day is a must! The pool and hot tub were a huge hit and well enjoyed by all. The only problem was that it went too fast! !